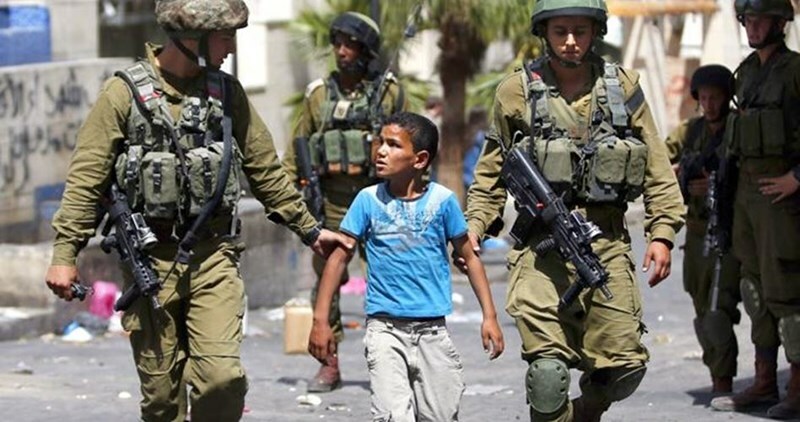 Haaretz Israeli newspaper revealed on Sunday that there is an increase in the number of Palestinian detained minors who are under 16 years of age by four times. The newspaper also pointed out that the number jumped from 27 to 103 captives last February including 5 prisoners less than 14 years old. Israeli forces conduct on a daily basis arrest campaigns against Palestinians of different age categories especially the youth and juveniles. Several Palestinians were kidnapped by the Israeli occupation forces (IOF) at dawn Sunday in a mass-abduction sweep launched across the occupied West Bank and Occupied Jerusalem. According to a PIC journalist, six Palestinians were kidnapped by the IOF from Occupied Jerusalem, Bethlehem, and Qalqilya at predawn time on Sunday. 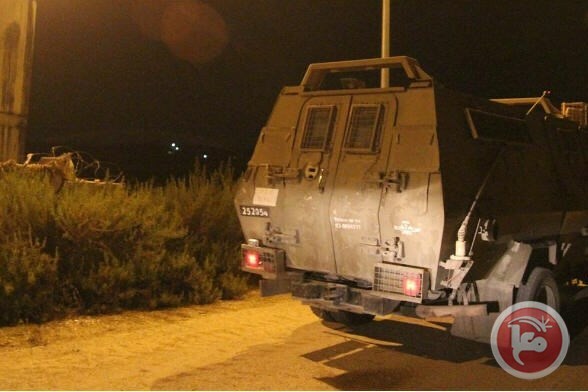 The IOF rolled into eastern Qalqilya, in the northern occupied West Bank, and kidnapped a youngster after they wreaked havoc on his family home and aggressively attacked his parents and relatives. The IOF stormed Bethlehem’s town of Beit Fajjar and ravaged civilian homes before they kidnapped a number of Palestinian youths. The occupation soldiers summoned the injured youngster Youssef Taqatqa for interrogation after they detained him for hours. A Palestinian youngster was injured by the shrapnel of a stun grenade fired by the IOF in Silwan town. Another was detained by the occupation soldiers. The IOF also pitched a military checkpoint near the entrance to al-Issawiya town, to the northeast of Occupied Jerusalem. The Palestinian Prisoner Society (PPS) said two unidentified Palestinian youths were kidnapped by the IOF from the holy al-Aqsa Mosque. Earlier, on Saturday evening, the IOF kidnapped the two youngsters Ahmad Kiswani and Ahmad al-Shaweesh from Occupied Jerusalem, PPS further noted. 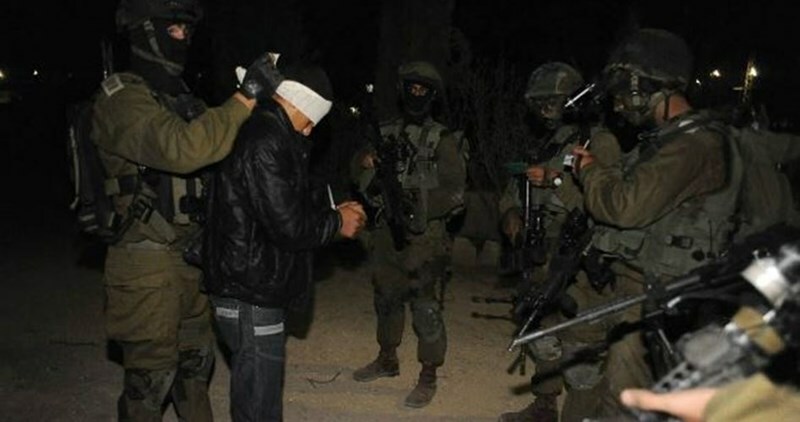 According to data released by the PPS, 27 Palestinians were kidnapped by the IOF on Friday and Saturday. The Israeli occupation authorities (IOA) at noontime on Sunday released the youngest Palestinian detainee Dima al-Wawi, 12, after two months and a half in jail. Dima al-Wawi was released at the Jabara military checkpoint in Tulkarem, in the northern occupied West Bank, where she was received by her family and dozens of Palestinian citizens. 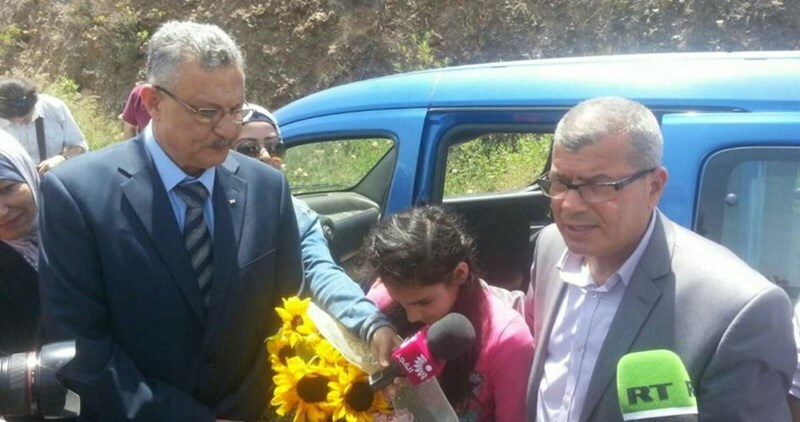 Al-Wawi was also received by the head of the prisoners’ and ex-prisoners’ committee, Issa Qaraqe, and Tulkarem Mayor Essam Abu Bakr. 12-year-old Dima al-Wawi, a native of al-Khalil’s northern town of Halhul, was kidnapped by the Israeli occupation forces on February 9 on her way to school. She was accused of holding a knife and attempting to carry out an anti-occupation stabbing against Israeli soldiers. An Israeli court sentenced the child to four months in jail and a fine of 2,500 U.S. dollars. Israeli forces detained at least four Palestinians during predawn raids Sunday in the occupied West Bank, and two Palestinians were injured when clashes broke out between Palestinian youths and Israeli forces in Silwan. 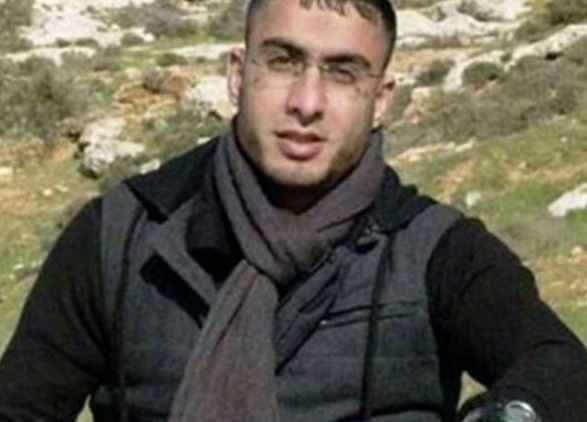 In the the southern occupied West Bank district of Bethlehem, Israeli forces stormed the village of Beit Fajjar and detained former prisoner Omar Anwar Thawabtah and briefly detained Yousif Louy Thawabtah before they released and summoned him to meet with Israeli intelligence, locals said. An Israeli army spokesperson told Ma’an that one Palestinian was detained near Bethlehem. Israeli forces also detained Muhammad Marwan al-Barghouthi in the northern West Bank district of Qalqiliya, according to the spokesperson and local sources. 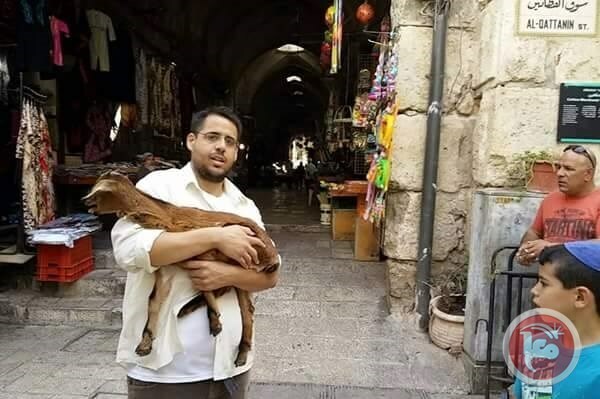 In occupied East Jerusalem, Israeli forces detained Ahmad al-Kiswani, locals said. Clashes broke out between the Palestinian youths and Israeli forces in the village of Silwad in the central West Bank district of Ramallah when forces raided the village and delivered a summons to a Palestinian man to meet with Israeli intelligence. The spokesperson for the Israeli army said one Palestinian was detained near Qalandiya in the central occupied West Bank. Locals told Ma’an two Palestinians were shot and injured by Israeli forces after the two threw an IED at Israeli forces in the East Jerusalem village of Silwan. An IED also exploded overnight Saturday when Palestinians targeted an Israeli watchtower near Bilal Bin Rabah mosque in northern Bethlehem. In Hebron, Palestinians threw another IED at Israeli forces, locals said. Since the beginning of 2016, Israeli forces have carried out a weekly average of 96 search and detention operations in the occupied Palestinian territory, according to The United Nations Office for the Coordination of Humanitarian Affairs. Israeli naval forces on Sunday morning detained two Palestinian fishermen off the coast of the Gaza Strip and seized their fishing boat, local sources told Ma'an. 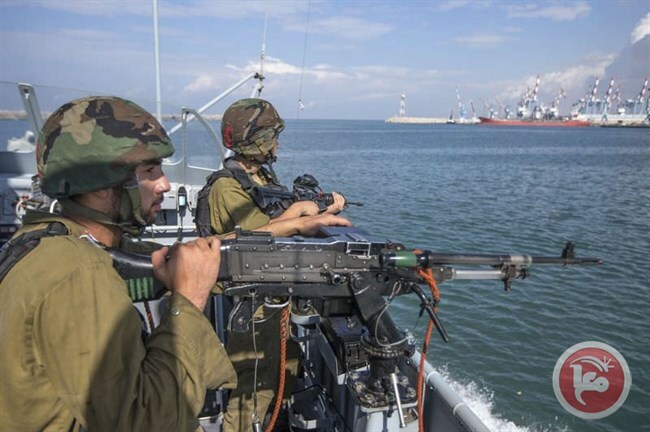 Locals told Ma'an that Israeli naval forces opened fire on fishing boats, and detained Oranus al-Sultan and Ibrahim al-Sultan and took them to unknown location. Two Palestinians were detained and nine Israelis were evacuated from the Al-Aqsa Mosque compound Sunday morning amid rising tensions at the holy site during the Jewish holiday season, according to Israeli and Palestinian sources. Israeli police continued heightened security measures in occupied East Jerusalem’s Old City early Sunday morning following tension surrounding the Jewish holiday of Passover on Friday. Witnesses told Ma’an a group of right-wing Israelis entered the compound escorted by Israeli forces, who were stopped by guards after they attempted to carry out “rituals” in the compound. Following a verbal and physical confrontation between Palestinian youths and the group of Israelis, two Palestinians were detained and five Israelis were evacuated from the compound. 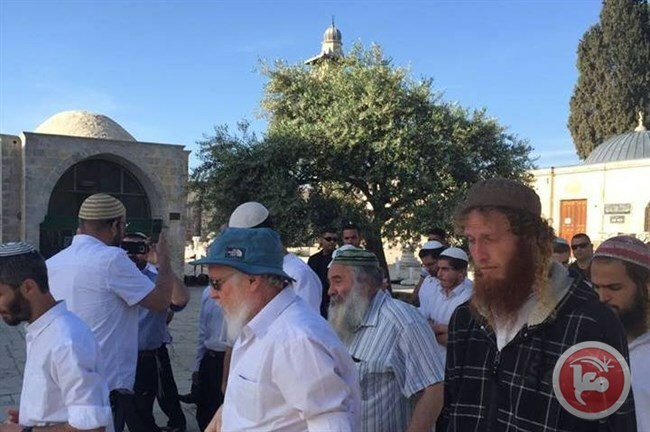 According to a statement from Israeli police spokesperson Luba al-Samri, a total of nine Israelis including three minors were evacuated from Al-Aqsa over the course of Sunday morning for violating regulations for Jewish visitors. Israeli forces have been heavily deployed at all entrances to the Old City and at Al-Aqsa’s gates since yesterday evening, and have been seizing the IDs of worshipers before their entry to the compound, locals said. Over 70 Palestinians, including women and elderly people, have been banned from the Al-Aqsa Mosque compound since the start of the month. Israeli police on Friday banned 29 Palestinian worshippers from the mosque. Seven right-wing Jewish Israelis were also detained, and police seized their sacrificial goats. The Israeli occupation forces (IOF) on Saturday arrested the Palestinian journalist Omar Nazal as he tried to pass through the Karama border crossing. 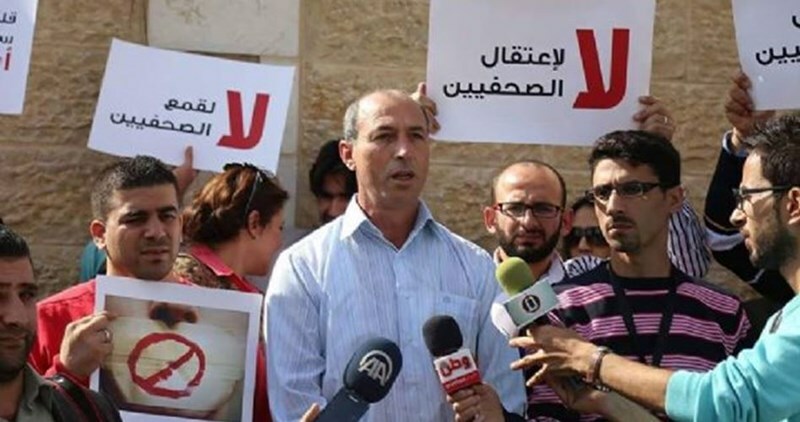 The Palestinian Journalists Union said the IOF arrested member of the union’s General Secretariat Omar Nazal on his way to attend a conference of the European Journalists Federation. The union condemned the arrest, dubbing it a serious and dangerous violation against Palestinian journalists and the freedom of the press. The union vowed to do whatever it takes to bring the Israeli crimes against journalists to an end and prosecute all the responsible parties. The union further announced the launch of a solidarity campaign both nationally and internationally to push for Omar’s release. At least 19 Palestinian journalists are currently held in the Israeli occupation jails. Three Palestinian prisoners continued their hunger strike in Israeli jails in protest against their difficult detention conditions, Palestinian media sources revealed Saturday. 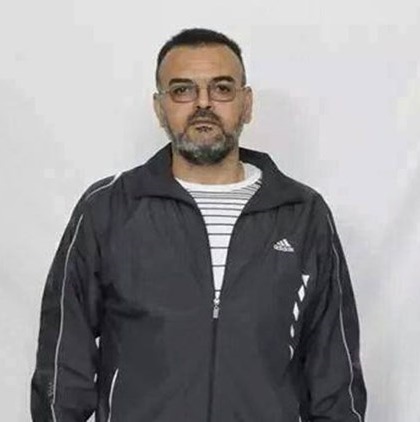 Saut al-Asra radio said that the prisoner Sami Janazra, 43, has been on hunger strike for 51 consecutive days in protest against his administrative detention according to which he has been held without charge or trial in violation of international laws. Israeli administration in Nafha prison has moved Zanazra from his solitary confinement to an Israeli hospital at dawn today as he suffered head injuries after he fell unconscious on the ground during his transfer on Thursday from Negev jail to solitary confinement in Ela prison. Janazra, a father of three children, has been on hunger strike for over 50 days, which led to a serious decline in his health condition. For his part, the prisoner Fuad Assi is still on hunger strike for the 20th day running in protest against Israel’s decision to extend his administrative detention for six additional months. Assi, 30, has been subjected to numerous punitive measures since he declared an open hunger strike. His room was violently stormed and searched every two hours, while his electronic equipment and clothes were confiscated. Assi, from Ramallah, spent five years behind Israeli bars in separate arrests most recently was in August 2015 and he was held since then in administrative detention without charge or trial. Along the same line, the prisoner Adim Mafarjeh, 28, has been his hunger strike for 20 days in protest against his administrative detention for 16 consecutive months. Mafarjeh was arrested in December 2014. Dozens of Palestinian young men on Saturday decided to go on hunger strike for one day in solidarity with prisoner Sami al-Janazra, who has been on hunger strike for about 52 days in protest at his detention administratively. According to his brother Kayed, the administration of Ela prison transferred Janazra to Soroka hospital in Beersheba following his suffering from health problems before he was taken back later to the jail. Kayed affirmed that dozens of young men started today a one-day hunger strike in a tent set up in solidarity with his brother in al-Fawwar refugee camp, southwest of al-Khalil. Israeli police on Friday banned 29 Palestinian worshippers from the Al-Aqsa Mosque compound and detained seven right-wing Jewish Israelis amid heightened tensions over the Jewish holiday of Passover. The Israeli occupation army has announced it will impose, as of Friday, a 48-hour closure on the West Bank and the Gaza Strip, banning Palestinians from entering Israeli areas during the Jewish Passover holiday. According to Yedioth Ahronoth newspaper, the closure will last for two days, starting at midnight between Thursday and Friday and ending on Saturday night. In another incident, the Israeli police on Thursday evening gave two Jerusalemite young men written orders banning their entry to the Aqsa Mosque for four to 10 days. The police also arrested two young men and summoned another in the holy city. 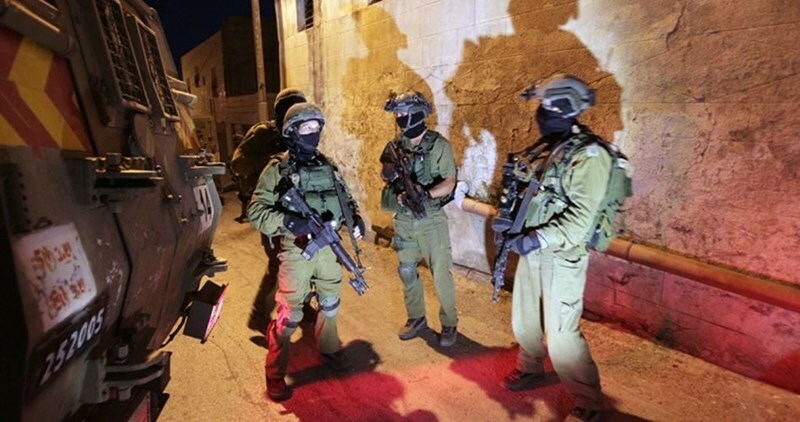 The Israeli occupation forces (IOF) at predawn time on Friday kidnapped two Palestinians from the southern West Bank province of al-Khalil after they wreaked havoc on their family homes. 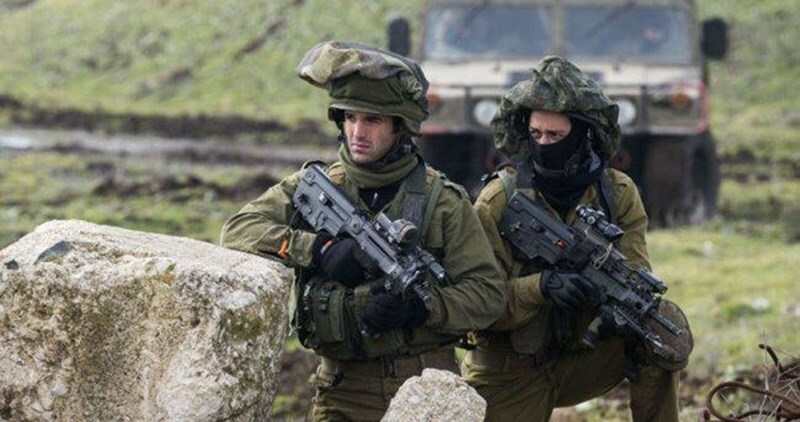 The Israeli occupation army claimed responsibility for the abduction of two allegedly wanted Palestinians from al-Khalil on account of their involvement in anti-occupation activities. Meanwhile, the occupation troops stormed Palestinian shops in al-Khalil’s southern neighborhoods and were deployed on their rooftops to provide extremist settlers with a security shield on the occasion of the Jewish Passover holiday. Palestinian hunger striking prisoner Sami Janazra suffered a head injury after he fell unconscious on the ground during his transfer on Thursday from Negev jail to solitary confinement in Ela prison. According to the Palestinian commission for detainees' affairs, prisoner Janazra has been on hunger strike for over 50 days, which led to a serious decline in his health condition. The prisoner is a resident of al-Fawwar refugee camp and married with three children. 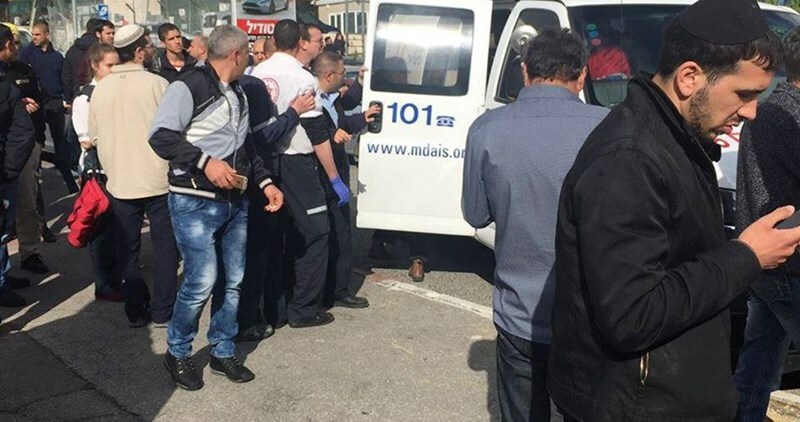 Israeli police arrested a suspected Arab youth for allegedly planning to stab an Israeli man in Tel Aviv on Friday morning. The 0404 Hebrew website said that the youth was arrested in Ramat HaSharon to the north of Tel Aviv. It added that the youth was being investigated, adding that police reinforcements were dispatched to the area. 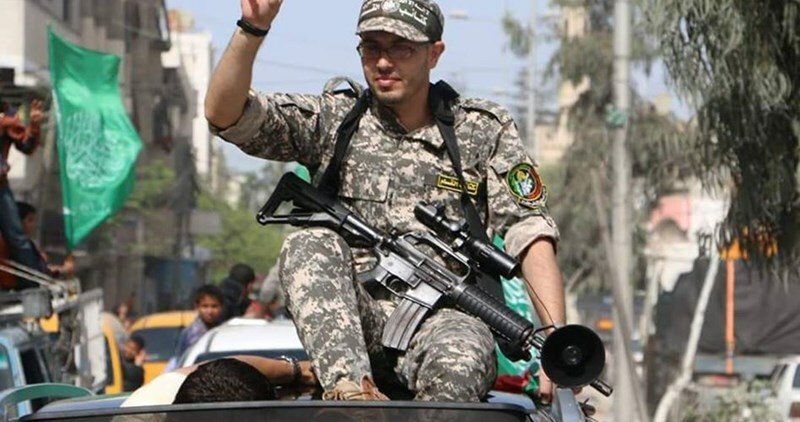 Israeli Occupation Authority (IOA) released on Thursday Mustafa Abu Muammar, 30 years old from Khan Younis and member of al-Qassam Brigades, the armed wing of Hamas Movement, after ten years of imprisonment. Palestinian crowds participated in receiving Abu Muammar at Beit Hanoun (Erez) crossing in the northern Gaza Strip. Israeli courts sentenced Abu Muammar to ten years of actual imprisonment for belonging to Hamas Movement and affiliation with al-Qassam Brigades. He was charged with monitoring Israeli soldiers and reporting their info to the Brigades. He was arrested in April, 2006. The ex-detainee Abu Muammar was also accused of participating in the preparation of the tunnel used by the Brigades in capturing the Israeli soldier Gilad Shalit on June 25, 2006. Shalit was released in 2011 within a prisoner swap deal that led to the release of over a thousand of Palestinian prisoners from Israeli jails. Israeli Prison Service transferred the Palestinian Jerusalemite journalist Samah Dwaik, 25, from Ramleh jail to Hasharon. 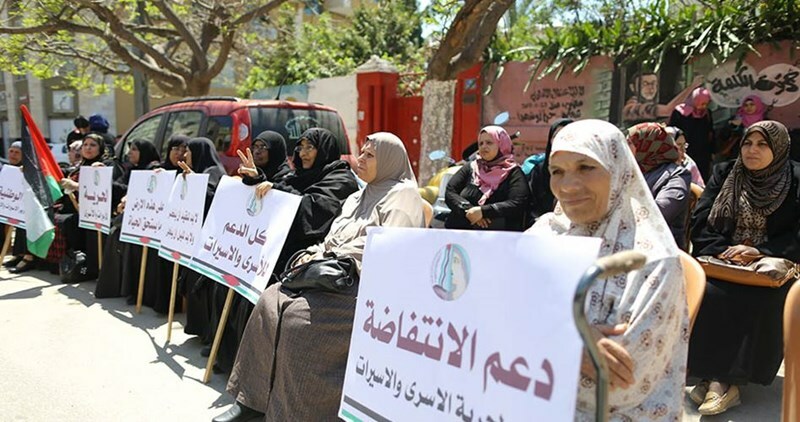 The captive’s sister, Israa, told Quds Press that the family requested to visit her imprisoned sister through coordination with the international Red Cross in order to check on their daughter and to send her needs to jail. Detainee Dwaik has been arrested since April 10. She was working as a correspondent for Quds News Network. 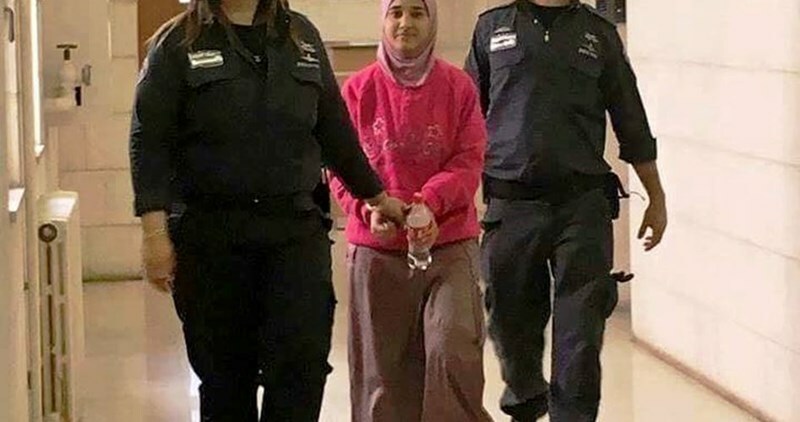 The Israeli court extended her detention order based on an indictment including incitement for violence over Facebook. Israeli court on Thursday sentenced Mujahid al-Saadi, correspondent of “Palestine Today" satellite channel, to seven months in addition to a fine of 5000 shekels ($1300). Journalist Saadi was arrested on January 12 this year from his home in Jenin. He was an ex-detainee who spent over five years in Israeli jails. Israeli Occupation Authorities are detaining 19 Palestinian journalists. Some of them are held under the illegal administration detention with no charges or trials and the others are sentenced to different periods. 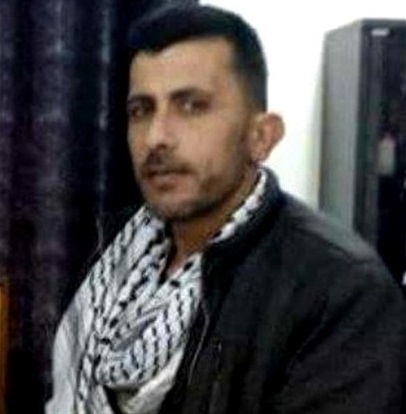 Prisoners Media Office revealed that a deal has been reached with the Israeli prison management stipulating ending the hunger strike of captive Shukri al-Khawaja, 47, along with his prison mates in return for ending his isolation. The office elaborated on Thursday evening in a press statement that the deal stipulated halting the isolation of Khawaja within a period of 3-5 months and allowing his family to visit him regularly as well as allowing him to choose the prison where he prefers to spend the rest of his isolation time. Captive Khawaja started an open hunger strike last Sunday in protest at his continuous isolation with no justification in Raymond desert jail. 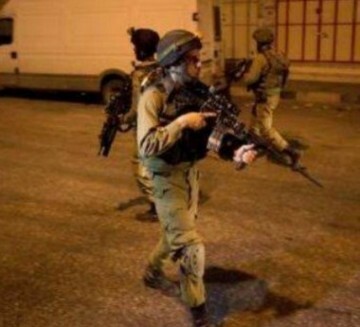 Israeli soldiers kidnapped, on Friday at dawn, twenty Palestinians after invading their homes in different parts of the Old City of occupied Jerusalem. One of the kidnapped was planning to get married later in the day. The Wadi Hilweh Information Center in Silwan (Silwanic), in Jerusalem, said the soldiers invaded and violently searched many homes in the Old city, interrogated many Palestinians and kidnapped twenty. The invasions into homes and properties, and the abduction of the Palestinians, started shortly after midnight and lasted until dawn. Mahmoud Dweik – was planning to get married today. The Israeli military court released Friday morning the 20 Jerusalemite youths who were detained overnight under condition of being denied entry to al-Aqsa Mosque for 15 days. Media sources said that Israeli authorities have recently intensified punitive measures and ban orders against Jerusalemite youths and worshipers at al-Aqsa Mosque. The alleged Temple organizations have earlier called for massive break-ins into the holy shrine on Friday afternoon to mark the Jewish Passover holiday. Israeli policemen carried out overnight and at dawn Friday a large-scale raid and arrest campaign in occupied Jerusalem for the second consecutive day. 20 Jerusalemite youths were arrested from their houses during the raids.